2. He promised to close “special interest loopholes that have been so good for Wall Street investors but unfair to American workers,” especially the notorious “carried interest” loophole for private-equity, hedge fund, and real estate partners. You bought it. But the new tax law keeps the “carried interest” loophole. 3. He told you he’d repeal Obamacare and replace it with something “beautiful.” You bought it. But he didn’t repeal and he didn’t replace. (Just as well: His plan would have knocked at least 23 million off health insurance, including many of you.) Instead, he’s doing what he can to cut it back and replace it with nothing. The new tax law will result in 13 million people losing health coverage, according to the Congressional Budget Office. 4. He told you he’d invest $1 trillion in our nation’ crumbling infrastructure. You bought it. But after his giant tax cut for corporations and millionaires, there’s no money left for infrastructure. 5. He said he’d clean the Washington swamp. You bought it. But he’s brought into his administration more billionaires, CEOs, and Wall Street moguls than in any administration in history, to make laws that will enrich their businesses, and he’s filled departments and agencies with former lobbyists, lawyers and consultants who are crafting new policies for the same industries they recently worked for. 6. He said he’d use his business experience to whip the White House into shape. You bought it. But he has created the most dysfunctional, back-stabbing White House in modern history, and has already fired and replaced so many assistants (one of them hired and fired in a little more than a week) that people there barely know who’s in charge of what. 8. He promised “a complete ban on foreign lobbyists raising money for American elections.” You bought it. But foreign lobbyists are still raising money for American elections. 9. He told you “I’m not going to cut Social Security like every other Republican and I’m not going to cut Medicare or Medicaid.” You bought it. But he and House Speaker Paul Ryan are already planning such cuts in order to deal with the ballooning deficit created, in part, by the new tax law for corporations and the rich. 10. He promised “six weeks of paid maternity leave to any mother with a newborn child whose employer does not provide the benefit.” You bought it. But the giant tax cut for corporations and the rich doesn’t leave any money for this. 11. He said that on Day One he’d label China a “currency manipulator.” You bought it. But then he met with China’s president Xi Jinping and declared “China is not a currency manipulator.” Ever since then, Trump has been cozying up to Xi. 12. He said he wouldn’t bomb Syria. You bought it. But then he bombed Syria. 14. He promised that the many women who accused him of sexual misconduct “will be sued after the election is over.” You bought it. He hasn’t sued them, presumably because he doesn’t want the truth to come out. 15. He said he would not be a president who took vacations. “I would not be a president that takes time off,” he promised, and he called Barack Obama “the vacationer-in-Chief.” You bought it. But since becoming President he has spent nearly 25 percent of his days at one of his golf properties for some portion of the day, according to Golf News Network, at a cost to taxpayers of over $77 million. That’s already more taxpayer money on vacations than Obama cost in the first 3 years of his presidency. Not to mention all the money taxpayers are spending protecting his family, including his two sons who travel all over the world on Trump business. 16. He said he’d force companies to keep jobs in America, and that there would be “consequences” for companies that shipped jobs abroad. You believed him. But despite their promises, Carrier, Ford, GM, and the rest have continued to ship jobs to Mexico and China. Carrier (a division of United Technologies) has moved ahead with plans to send 1,000 jobs at its Indiana plant to Mexico. Notwithstanding, the federal government has rewarded United Technologies with 15 new contracts since Trump’s inauguration. Last year, Microsoft opened a new factory in Wilsonville, Oregon, that was supposed to herald a new era in domestic tech manufacturing. But in July, the company announced it was closing the plant. More than 100 workers and contractors will lose their jobs when production shifts to China. GE is sending jobs to Canada. IBM is sending them to Costa Rica, Egypt, Argentina, and Brazil. There have been no “consequences” for sending all these jobs overseas. 17. He promised to revive the struggling coal industry and “bring back thousands” of lost mining jobs. You bought it. But coal jobs continue to disappear. Since Trump’s victory, at least 6 plants that relied on coal have closed or announced they will close. Another 40 are projected to close during the president’s four-year term. Utilities continue to switch to natural gas instead of coal. 18. He promised to protect steel workers. But according to the American Iron and Steel Institute, which tracks shipments, steel imports were 19.4 percent higher in the first 10 months of 2017 than in the same period last year. That import surge has hurt American steel workers, who were already struggling against a glut of cheap Chinese steel. For example, ArcelorMittal just announced it will soon lay off 150 of its 207 steel workers at its plant in Conshohocken, Pennsylvania. 19. He said he’d make America safer. You believed him. But according to Mass Shooting Tracker, there have been 377 mass shootings so far this year, including 58 people killed and hundreds injured at a concert in Las Vegas, and 26 churchgoers killed and 20 injured at a church in Texas. Trump refuses to consider any gun controls. 20. He said he’d release his taxes. “I’m under a routine audit and it’ll be released, and as soon as the audit is finished it will be released,“ he promised during the campaign. He hasn’t released his taxes. 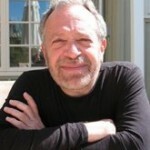 Robert Reich, one of the nation’s leading experts on work and the economy, is Chancellor’s Professor of Public Policy at the Goldman School of Public Policy at the University of California at Berkeley. He has served in three national administrations, most recently as secretary of labor under President Bill Clinton. Time Magazine has named him one of the ten most effective cabinet secretaries of the last century. He has written thirteen books, including his latest best-seller, Aftershock: The Next Economy and America’s Future; The Work of Nations; Locked in the Cabinet; Supercapitalism; Beyond Outrage; and Saving Capitalism. His syndicated columns, television appearances, and public radio commentaries reach millions of people each week. He is also a founding editor of the American Prospect magazine, and Chairman of the citizen’s group Common Cause. His widely-read blog can be found at www.robertreich.org.